Home / Blog / IT Staffing / What is Better to Hire Dedicated Developers in Finland or in Ukraine? Finland is a country with one of the highest standards of living in the world and rapidly developing economy, where IT sector is one of the most promising fields. IT outsourcing is also very popular in Finland. Near 70% of Finnish companies provide outsourcing and IT team outstaffing services offering to hire a formed in-house Finland dedicated team, according to Compubase, Helsinki is a heart of IT sector, so the most demanded Finland developers for hire could be found in this city. Nevertheless, Ukraine also has many IT talents and great potential to impress the whole world with great innovations and projects. Below is a list of some of global projects the development of which was outsourced to Ukraine. Of course, you have heard or even used some of them and already had an opportunity to personally confirm the professionalism of Ukraine programmers. AdsWizz (Belgium) is an advertising tool that allows using audio instruments. 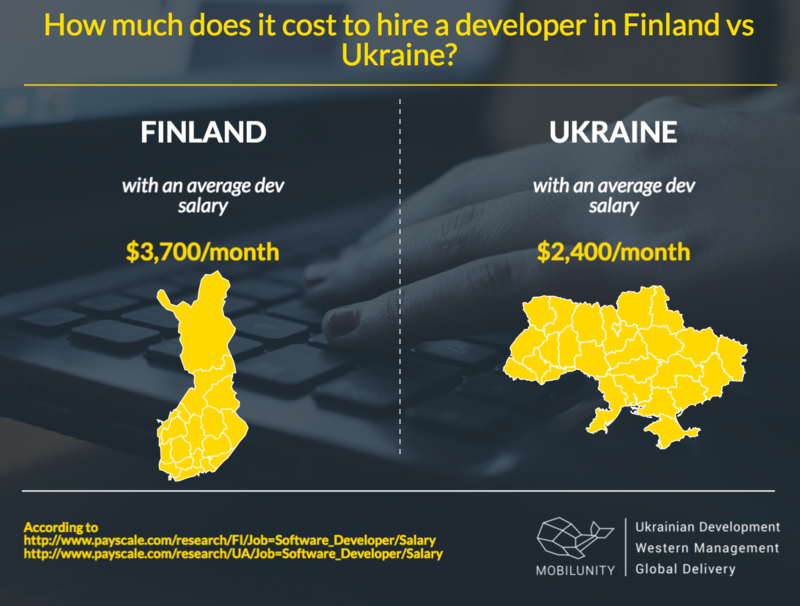 If you want to hire developers in Finland, you should know that an average developer’s salary in this country is $3,700. 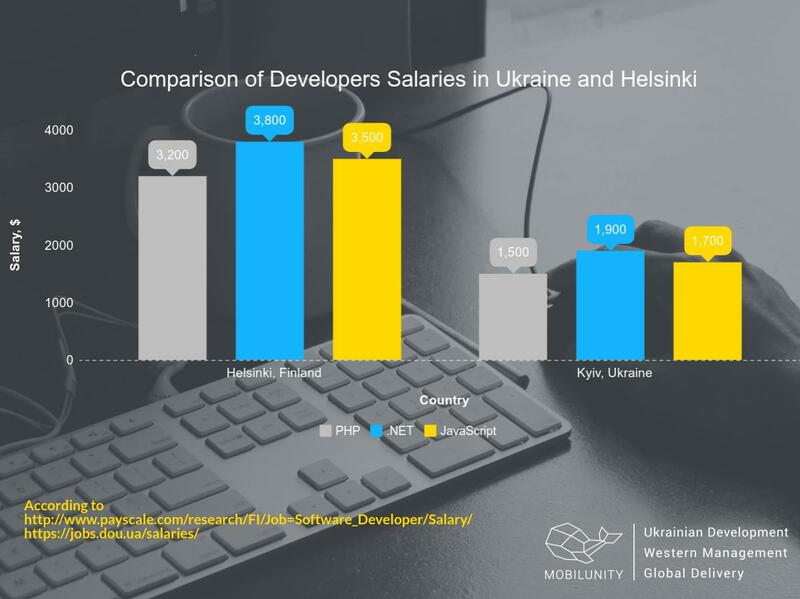 Our purpose is to compare salaries’ indicators with the same offers in Ukraine, where average programmer’s salary is $2,400. The continuing development of innovations in R&D centers. Is It Profitable To Hire Developers in Finland? Even if you had a purpose to find developer in Helsinki, don’t make hasty decision. It is possible to notice that hiring Ukrainian developers is not only profitable solution, but also the best one as you can get all-inclusive high-quality services at much lower rate. Hire Finland dedicated team or get all the benefits of personal outsourcing with Mobilunity!